Posted in Family Values, General, Health Care	by It's just a web site man! While I have tried to stay out of politics on my blog, there is one subject that really bothers me. The The Affordable Care Act or Obama-care as some call it, has been quite controversial. There are good reasons for reforming Health Care. In the last 10 years or so I have had plenty of experience with health facilities. I have had to fight with doctors, Insurance companies, hospitals, and other health providers. Ensuring a loved one gets the best possible care in America at times puts you at odds with health care systems that seem to be more worried with their bottom line than the wellness of their patients. So it is up to the patient and their loved ones to make sure everyone stays focused on the goal. With that said, I am convinced no country in the world has the quality of health care we have in America. No one in this country is denied emergency health care. Anyone, rich or poor, can walk into an ER and get life saving medication, regardless of their ability to pay. 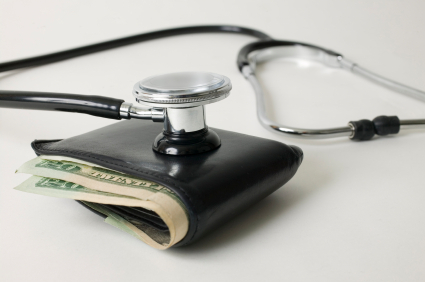 The issues are usually when it comes to being able to afford the health insurance required to STAY healthy. We have millions of people in this country that simply cannot afford health insurance. There are also many others who have health insurance that is inadequate. While health insurance is NOT a right afforded by the constitution, as a country that cares about its poor and disadvantaged, it is important to try and find a way to improve the system. It shows that currently 733 waivers have been given out to the law. That means that 733 organizations have been waived from complying with the law. The reason? There is more than one reason, but many of them are companies that provide mini-med plans to their workers and would have to eliminate them under the law, leaving their workers without health coverage. Wasn’t the law supposed to increase the number of people that could afford health coverage? How could we pass a health reform law that would actually leave so many people out in the cold, so much so that 733 companies are now exempt from following the law? While the waivers issued so far represent only 1 percent of people on private health plans, that 1 percent is 2.1 million people. I don’t know about you, but that sounds like a lot of people to me, and the number of waivers given out are increasing. This is only one of several issues many have raised with this new law. Again, I believe there are provisions in this law that are good, such as the ending of the pre-existing conditions clause. But we obviously missed the boat here folks. If you remember, last year President Obama had a televised summit where he met with politicians from both major parties. Several of them implored the President to step back and start over, urging him to listen to both parties and scale back the law. Many wanted him to tackle the issues that had bipartisan support first, instead of this huge bill that so many had problems with. He and the majority in Congress refused, and we are seeing the results. It cost the Democrats the mid-term election and is costing the American people in higher premiums, more debt, and other issues in the future. It is time for Washington to start listening to the people. I can’t tell you I am optimistic.